Do you have style? Do you love Etsy? 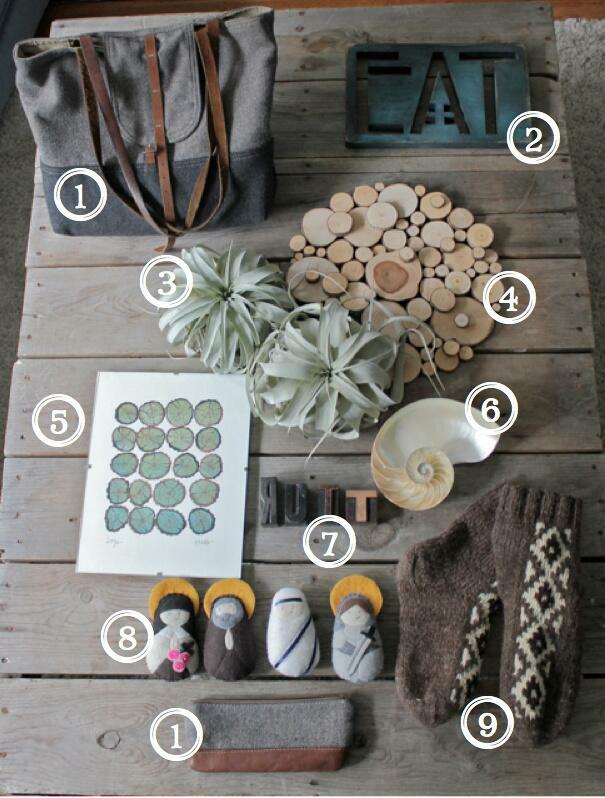 We asked and you shared your Etsy Style with us. So how can you Show Us Your Etsy Style? 1. Take a picture of your personal purchases from Etsy.com ( clothes, jewelry, art, you name it!) You can be in the picture, too! 3. Also share the shop name or names like this #elementclaystudio, #handymaiden, #studiobytheforest #rosellaresin #landfall #stoneandviolet, etc. 4. We will then share them with our readers and find out who has amazing Etsy Style. We are so excited to see your finds! Rebekah of Burnish shared her finds via Facebook. Charlotte of Swamp Angel Soap shared her finds via Twitter. Holly of Little Flower Soap Co. shared her finds via Instagram. Shop: Little Flower Soap Co.
Blogged about her look here. Don't forget to Show Us Your Etsy Style!